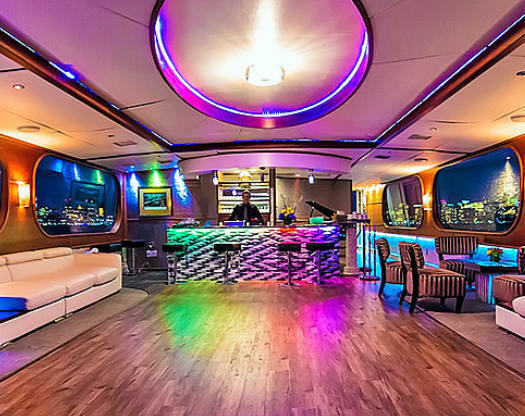 Representing over 50 yachts, we can accommodate parties from 2-1200 guests in comfort & style. Our expert planners will match you up with the perfect charter boats and yachts to fit your needs. We will determine the right dinner cruise for you based on personal preferences, food & beverage service, and budget. Perfect for weddings, corporate events, social gatherings, birthdays, bar/bat mitzvahs or any occasion. Whether it's an intimate gathering or a grand gala for up to 600 guests we have the perfect charter boats and dinner yachts for you. Cocktail parties, informal luncheons or formal sit down dinners, we do it all. All of our boats & yachts are climate controlled and weather enclosed. Once aboard the yacht you have your own chef and professional staff to entice your guests with imaginative cuisine and the finest service. 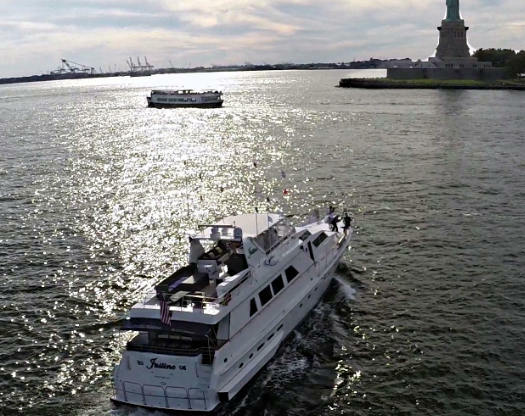 Your guests will marvel at the panoramic views aboard your charter yacht as you gently cruise the waters of NY Harbor, Long Island Sound or the Majestic Hudson River. We offer private charters and dinner cruises departures NYC, NJ, Ct., Westchester and Long Island. For more information or written proposals by fax or e-mail, contact us today!